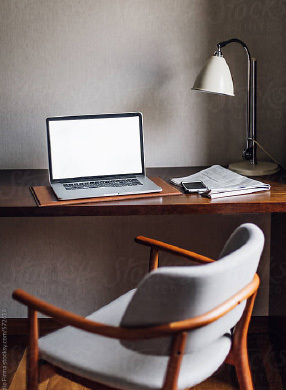 Interiors - Highly liveable, thoughtful and beautifully crafted spaces. 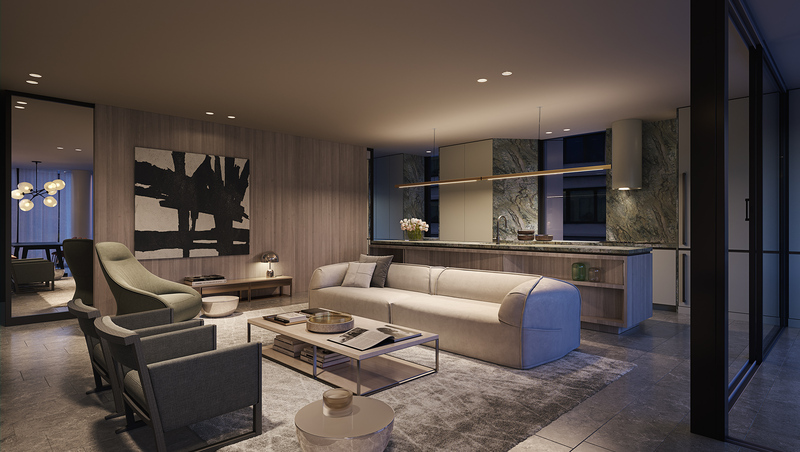 "These are highly liveable, thoughtful and beautifully crafted spaces. Subtle detailing such as the stone skirting and wrapped folds of timber are markers of true quality. They create a quiet character and a backdrop that can coexist with diverse styles and tastes." Inside, the mood is chic and luxurious. 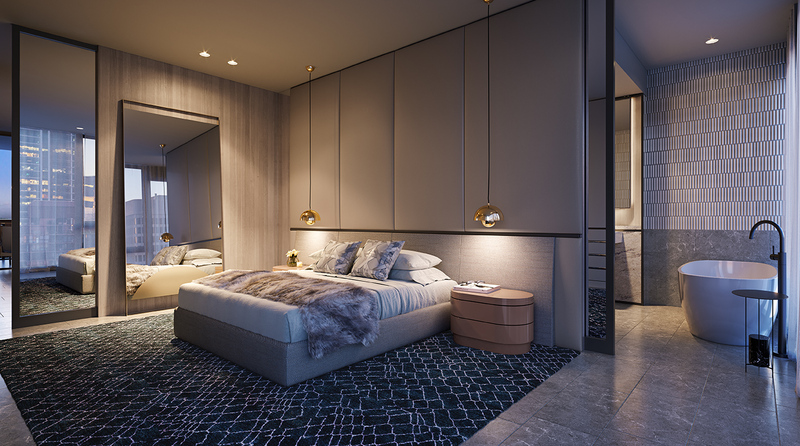 FJMT’s talented interior design team have brought their signature skills to Edition’s diverse living environments so that every space paints a visual story. Open and airy living spills to spacious balconies. Composed interiors perfectly balance form and function. 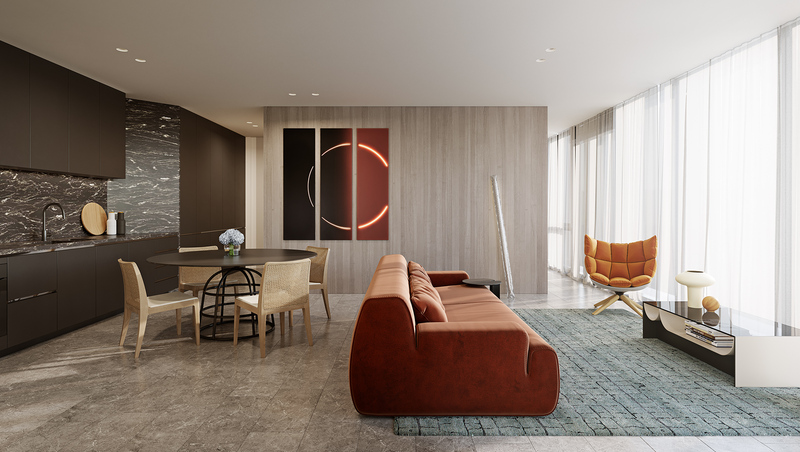 Robust materials and finishes are handpicked for their unique beauty, wrapping across the walls and floors and injecting richness and personality into the elegant, layered palettes. They are homes of great depth and beauty offering a wonderful canvas ready to dress with your own personal touches. 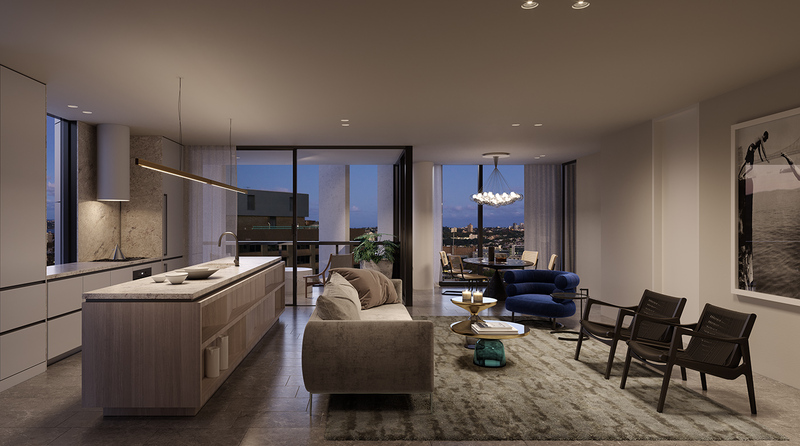 Depending on your orientation, upper storeys take in views over Surry Hills towards Botany Bay, the Eastern Suburbs, Hyde Park and the spires of St Mary’s Cathedral, some catching glimpses to magnificent Sydney Harbour. 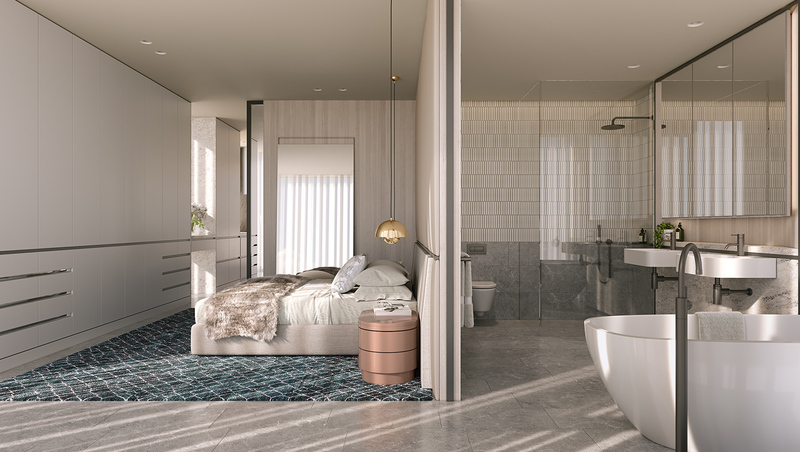 High-end finishes and inclusions such as Miele appliances, striking granite island benches and stone-wrapped floors and skirting combine to produce timeless, ultra-modern homes. Make everyday cuisine an art form in your superbly appointed kitchen. 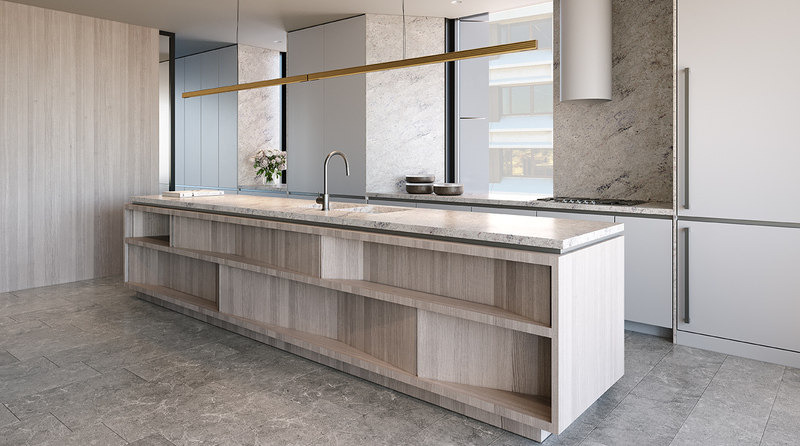 Abundant slab stone makes an enduring statement in the gourmet work zones, thoughtfully designed to ensure that casual dining and generous entertaining is an effortless affair. 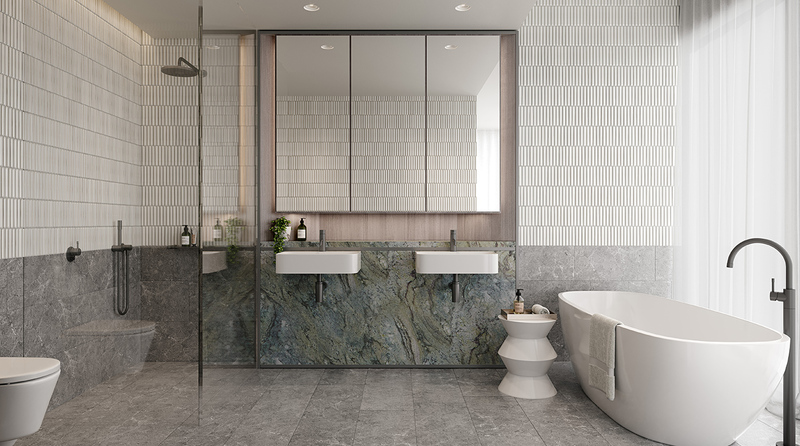 Bathrooms and ensuites are exactly as they should be – elegant, luxurious and awash in textural interest. 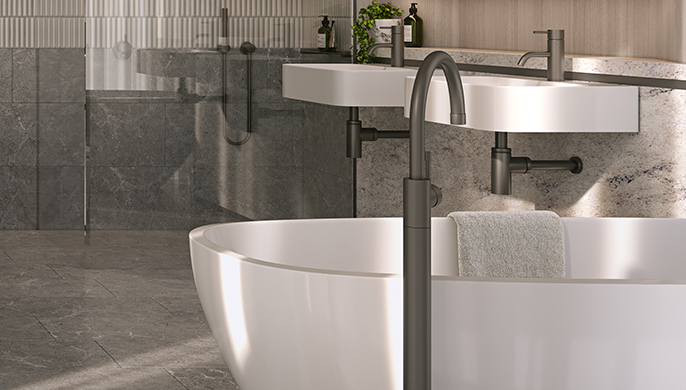 Rinse away the day in a beautiful space that offers the ultimate in relaxation with plentiful storage for all your bathing essentials. Three elegant palettes offer luxurious layers of tone-on-tone colour creating a timeless look and feel. 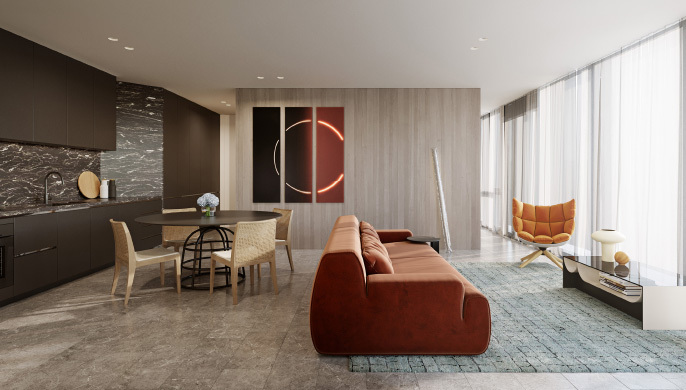 Edition 1 channels the designer vibe of Surry Hills blending white granite stone stippled with drops of plum red, glossy grey joinery and textural wraps of washed timber veneer. 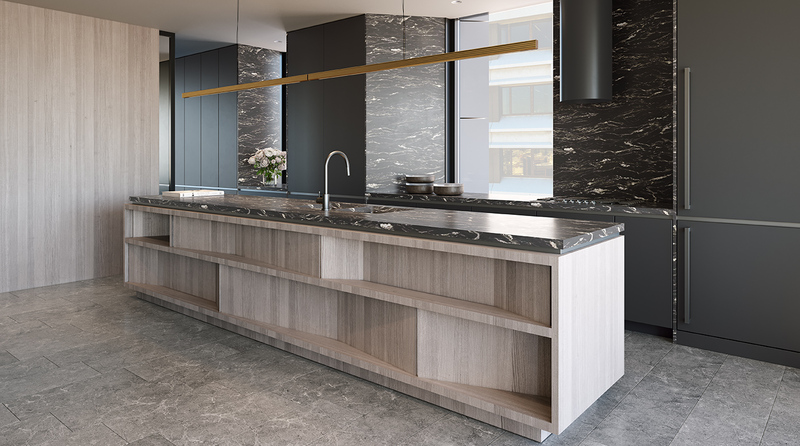 Edition 2 mirrors the sophisticated moods of the city combining white and gold shot black granite, charcoal joinery and soft grey tones. Edition 3 takes its cues from Hyde Park drawing inspiration from the calming influence of nature. 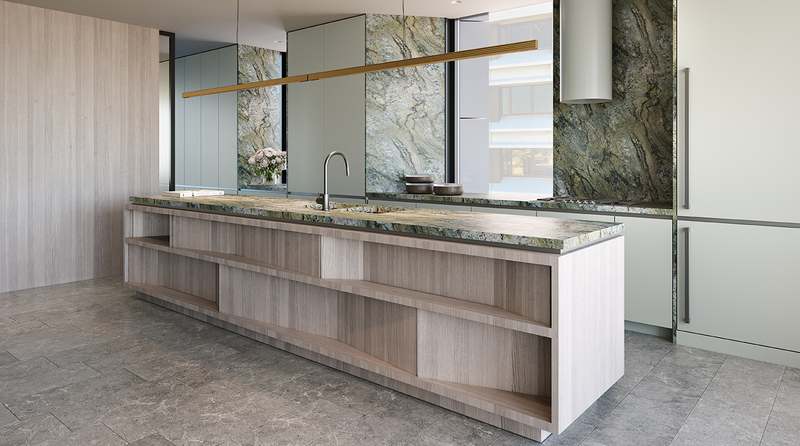 It dovetails magnificent expanses of bronzed green granite with subtle muted hues.